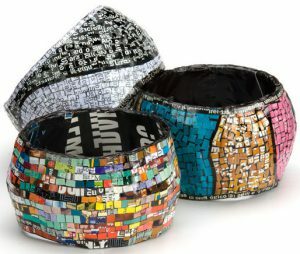 Show off your artistic side and your love of the written word with these bangles, which are made from recycled magazines. ArtfulWears.com, $48 each. You won’t find a carbon copy of this Tumbler & Tipsy tweed jacket anywhere. 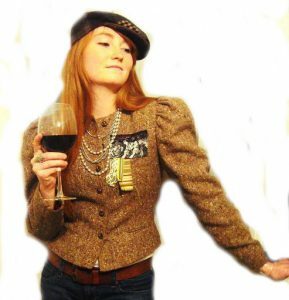 Since they make their clothes from recycled vintage clothing, no two are ever alike. 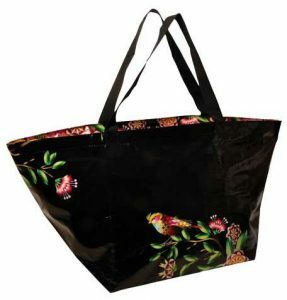 HandmadeGalleriesLA.com, $160. Pack all your essentials in this Blue Q bag, which is made from 95% recycled woven polypropylene. Night Bird Overnighter Bag, BlueQ.com, $17.99. 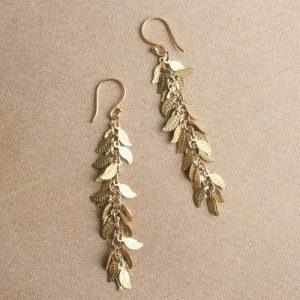 Rock out in these Moonrise Jewelry brass leaf chain earrings made with 24K gold vermeil ear wires. Maldives Earrings, MoonriseJewelry.com, $23. Jump, skip and hop in these eco-friendly shoes by ecoSNEAKS. They have silk uppers, certified organic cotton knit linings, and recycled car tire pedbeds and outsoles. 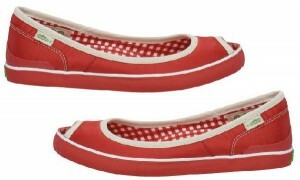 SimpleShoes.com, $55. Take the day off and relax in this Avon liiv botanicals organic cotton bath robe. Avon.com, $29.99.